Bayside Split Systems is also thoroughly equipped to provide air conditioning repairs for all brands and models. Air conditioners provide cooling comfort to your homes and offices. And we all know when they break down we want them back up and running ASAP. At Bayside Split Systems we will endeavor to help you in such a situation and ensure that we are able to fix the problem in best possible time frame. In some cases its just a matter of leaking refrigerant or clogged coils or filters. Our excellent repair services guarantee to save your money on replacing the air conditioning system by repairing it if possible. 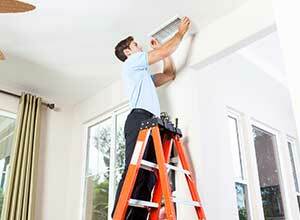 Bayside Split Systems provides repairs and servicing for all major brands. We pride ourselves of providing quality air conditioning repairs and services to our domestic and commercial clients, at the best cost effective and competitive rates in Melbourne. 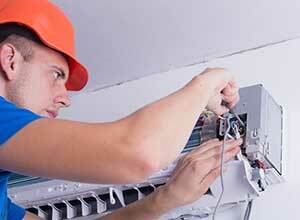 Bayside Split Systems is fully insured and licensed in air conditioning repairs, maintenance, and servicing. 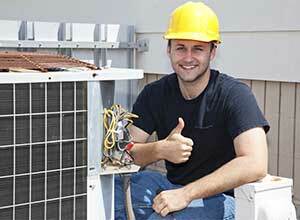 Bayside Split Systems also have air conditioning maintenance programs. Its always good to keep your air conditioning in tip top shape so we provide filter and coil cleaning preventative maintenance programs to suit your air conditioning unit/units. Having over 10 years experience in mechanical air conditioning, servicing multi and single storey commercial buildings, Bayside Split Systems can tailor a commercial preventative maintenance plan to suit your needs. 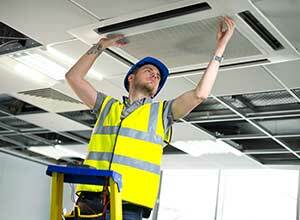 We also offer commercial installation. Weather it be a simple split unit in an office or a Chiller system on the roof, you can count on Bayside Split systems to deliver the project on time and on budget. Our highly trained staff will be able to locate and pin point any faults and give you a clear and concise understanding of what is needed. Our staff are equipped with state of the art equipment to provide effortless servicing, repair, and maintenance for commercial air conditioning systems. Our team will ensure that they will attend to any situation in a timely manner.